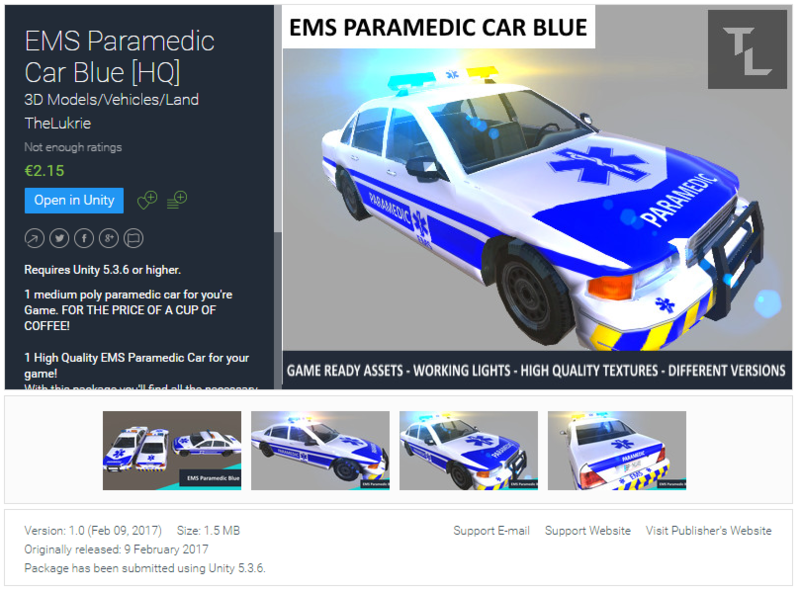 2 New Vehicles on the Unity Asset Store! Today I released 2 New Vehicles to the Unit Asset Store. 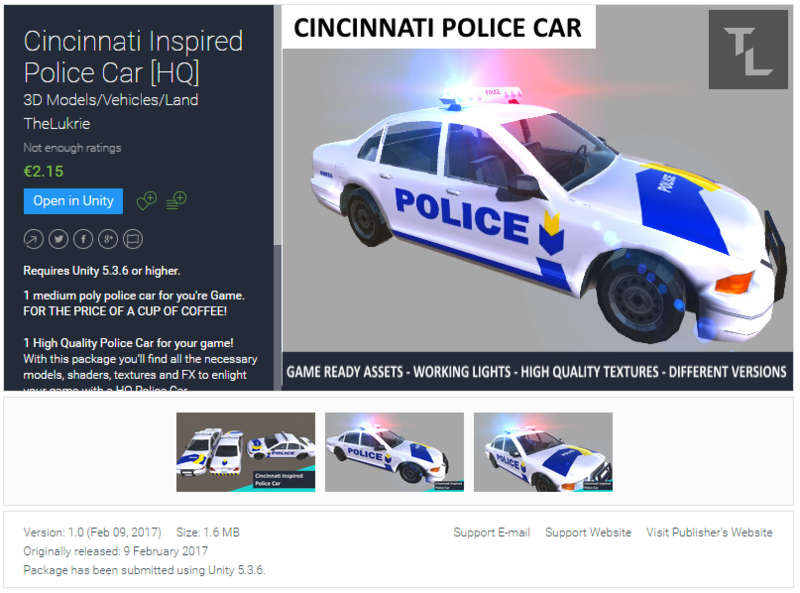 - "Cincinnati Inspired Police Car"
- "EMS Paramedic Car Blue"
Want to get Informed the next time I post an update here? TheLukrie is a one-man independent Artist and Illustrator located in Austria. Copyright © TheLukrie 2015-2019 - All rights reserved!